Phillip Hall was a nomination from Shauntee of the Trig & Polished team. She is an expert at what fits the bill for being featured on Trig & Polished so I knew that Phillip would have it going on. I was not disappointed. Not only is Phillip a snazzy dresser, he’s also got the personality and smarts to match. 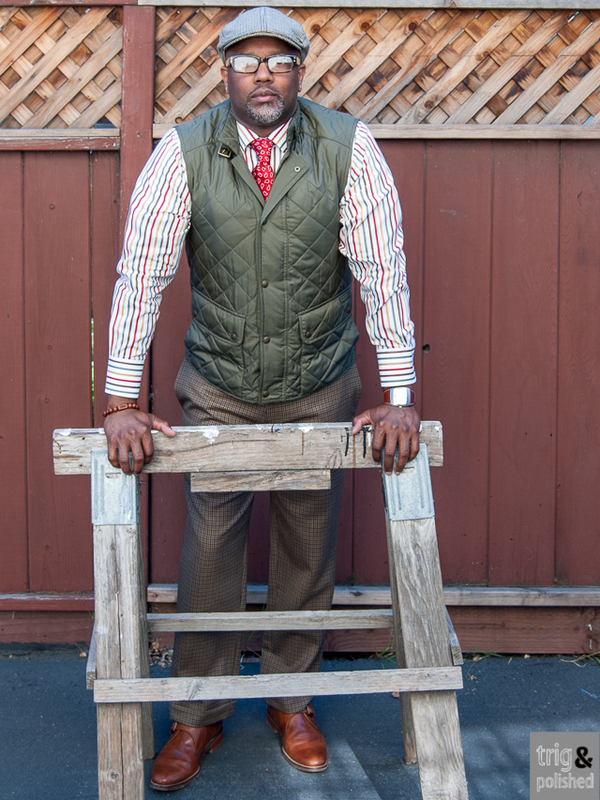 Born in Berkeley, raised in Fremont, Phillip is representing the East Bay’s best dressed men. 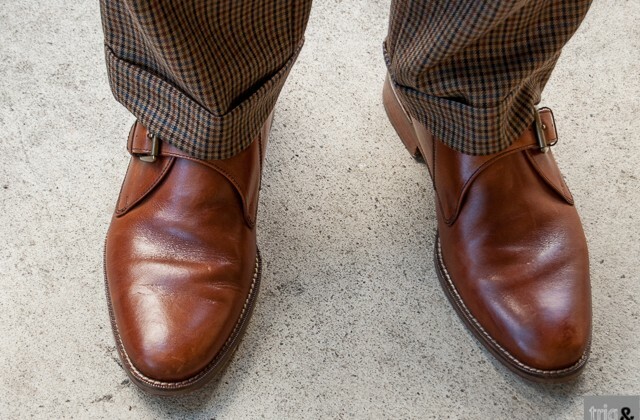 Phillip works in the pharmaceutical industry and he’s honed a style that he’s both comfortable in and looks good. He travels a lot for work and in his day-to day routine, he attends meetings in which he needs to look professional, yet not necessarily in suits all the time. His goal for his wardrobe is Business Casual and by the look of this outfit, he’s nailed the style pretty well. What I like about Phillip’s style is that he’s made it his own. 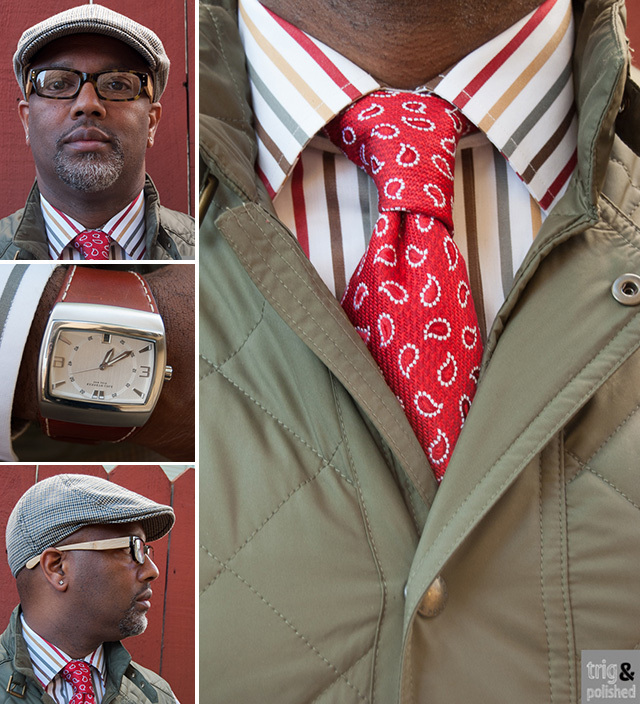 He says he feels white shirts are too plain and he migrates towards mixing patterned shirts and ties. 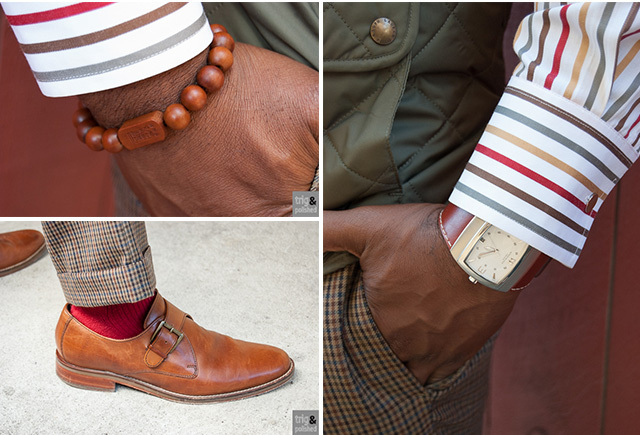 This is a challenge for most people, but he manages to create a perfect balance between multiple patterns and solids by sticking to a color palette of neutrals and complementary colors. It is very well put together. For those of you who are required to dress a step above casual and a notch below suits, consider this look for inspiration. 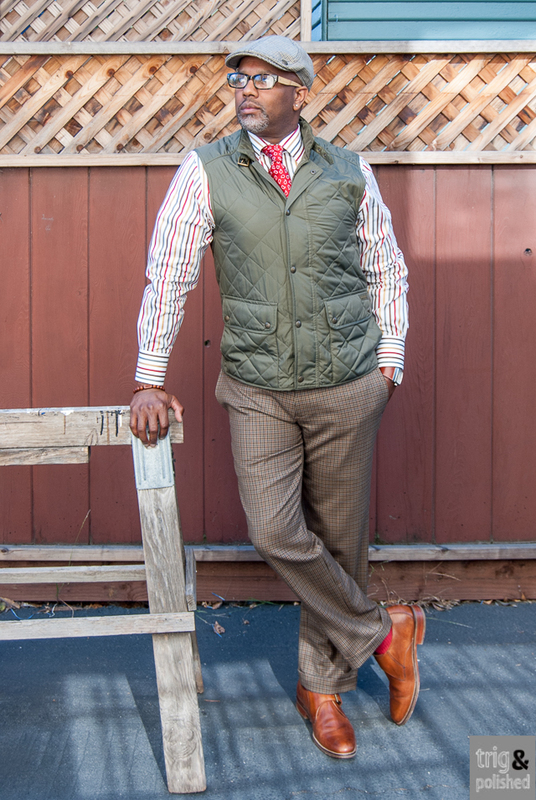 I’m a huge fan of the plaid pants, the monkstraps and the green quilted vest. Before seeing Phillip in this handsome outfit, many would be hard pressed to put together an outfit with those three elements but he crafted it beautifully.